The Flavoring: Chocolate or Vanilla. Syrup of choice: Fox’s u-bet Original Chocolate Flavor Syrup. A Brooklyn original. Now here is a little tid bit that not too many people know. The time of year when you buy this syrup makes a difference. All year long Fox’s u-bet syrup is swettened with corn syrup…except during Passover. That is when they use 100% real cane sugar to sweeten the syrup. And that makes all the difference in the world to the taste of your egg cream. Is this too extreme? Not for egg cream lovers. You can’t use Hersey syrup or Nestle powder or bosco. So when Passover comes around it’s time to stock up on your Fox’s u-bet Chocolate Flavor Syrup. And how would you know it’s the right time to buy and your not getting the other stuff? At the top of the bottle is a shrink wrap plastic safety quality seal. And printed on that wrapper is the Kosher for Passover seal. Don’t buy it with out it. The Mixology: It’s always better to start with a chilled 15 ounce glass. Pour about two fingers of whole milk in the glass. Simply curl your index and middle finger around the bottom of the glass and fill it with milk to the top of your index finger. Next, pour in the seltzer. A freshly opened bottle of ice cold seltzer. Fill the glass till the foam is about 1/2 inch from the top of the glass. Don’t worry if some runs over. Next, pour in about 2 fingers of your chocolate syrup. It will settle to the bottom of the glass and you can measure from there . Add a little more or less according to your taste, but for your first egg cream you can start with this amount. With a spoon, stir the egg cream with an up-down quick stirring motion till the syrup is distributed . Don’t stir too hard because you do not want to disturb the head that has formed at the top of the glass. The ingredients have to be placed in that order: milk, seltzer, and syrup. 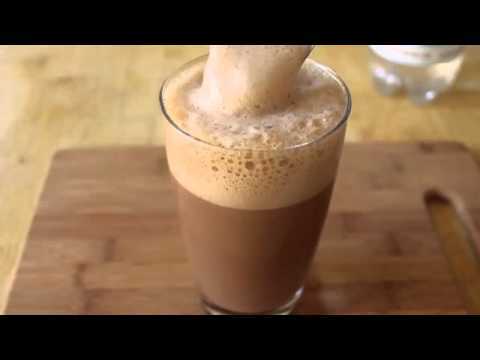 You now have the proper way to make a truly delicious New York Egg Cream. Enjoy! And stay thirsty my friend! 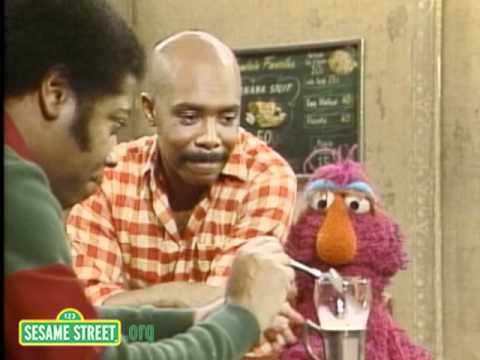 Mr. Hoopers store was a traditional inner city soda fountain. 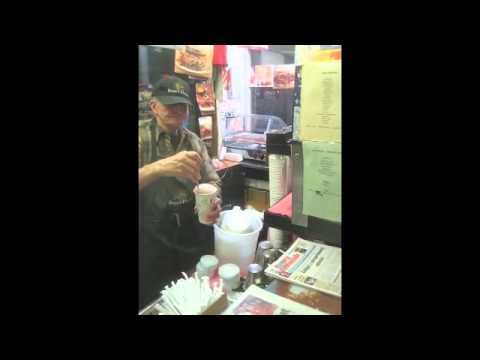 Here is Gordon trying to make an egg cream after Mr. Hoppers passing. In a tall glass mix together vanilla simple syrup, milk, and seltzer; stir well to combine. Serve immediately. 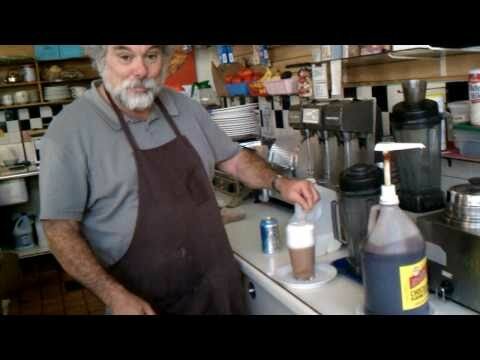 How to make an egg cream from a Chef.